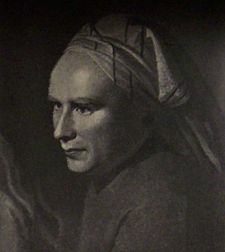 Portrait of William Cowper attributed to George Romney. With blood of their inhabitants impaled. Needless, and first torments ere he devours. Upon the guiltless passenger o’erthrown. To the far-distant goal, arrives and dies! So little mercy shows, who needs so much! The Task. When Cowper wrote this (in1782) the Law was entirely silent upon the rights of the lower animals to protection. It was not until nearly half a century later that the British Legislature passed the first Act (and it was a very partial one) which at all considered the rights of any non-human race. Yet Hogarth's Four Stages of Cruelty - to say nothing of literature - had been several years before the world. It was passed by the persistent energy and courage of one man - an Irish member - who braved the greatest amount of scorn and ridicule, both within and without the Legislature, before he succeeded in one of the most meritorious enterprises ever undertaken. martin's Act has been often amended or supplemented, and always with no little opposition and difficulty.